Most ship owners are expected to comply with new ballast water regulations by installing onboard Ballast Water Treatment Systems. MariFlex has also considered alternatives for those owners that may not want to retrofit a treatment system, perhaps because their ships operate on non-exempted fixed routes or their ships are so old as to make any investment in such a system prohibitively expensive. Alternatives are also required for ports that need to provide backup in the case of emergencies when ships’ onboard treatment systems fail. 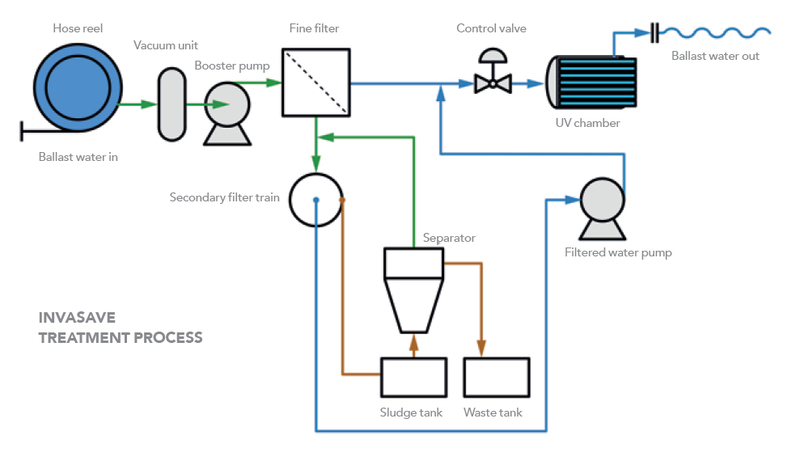 For these reasons, Damen has developed a unique mobile discharge technology – InvaSave – which enables port based treatment of ballast water. 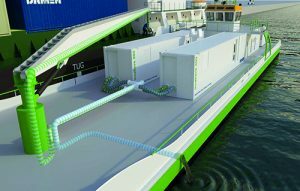 Mariflex / Damen can deliver the technology in a self-sufficient mobile container, which can be put on board a barge or moved around the port on a trailer, a pontoon or other types of vessel. Each Mariflex / Damen InvaSave container unit handles 300 m³/h – and it’s easy to scale up if required, using multiple InvaSave container units. For those situations where mobility is not required, InvaSave can also be utilised to create a land based reception facility. 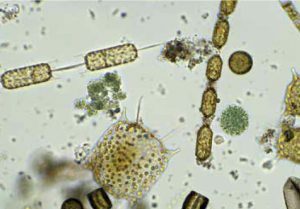 The InvaSave system was successfully tested in various representative challenging water qualities. The official land based testing was completed at the MEA test institute in the Netherlands in 2015 and final shipboard testing will be finalised shortly. IMO type approval by the Dutch flagstate is expected to be obtained in 2016 and a patent is pending. In a forthcoming phase USCG type approval shall be obtained. The unique InvaSave technology is based on continuous fine filtration combined with Ultra Violet treatment. Sludge and sediment is dewatered and compacted in a secondary treatment so it can be further processed safely ashore. Treated water meets the ballast water performance standard specified in Regulation D-2 of the IMO Ballast Water Management Convention as an absolute minimum. InvaSave is the only technology on the market today to treat ballast water at discharge in only one step. Please contact us at info@mariflex.net to discuss the solution that suits you best.